Journalist Harry Golden was the "Carolina Israelite" who wrote a little bit about a lot of things. He stopped to think more deeply when he wrote about his adopted home of Charlotte. 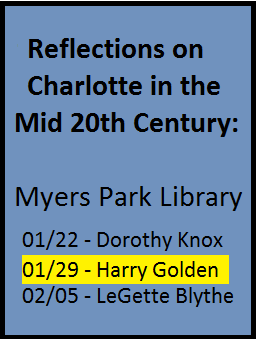 Librarian Thomas Cole of the Robinson-Spangler Carolina Room will discuss his works.